Granit Xhaka is a marmite player. There are those who think he only ever passes the ball sideways or backwards or, at least, rarely forwards. 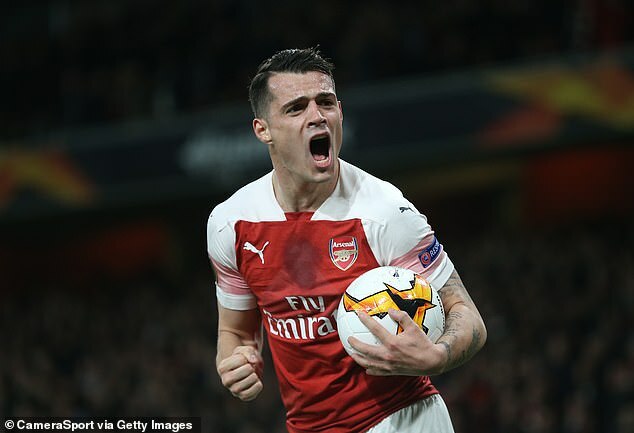 Some believe Xhaka is an accident waiting to happen, either by dwelling on the ball in our own final third, making ill-advised passes or by lunging into rash challenges. Others see him as the fulcrum of the team, anchoring the midfield, always available, never shirking the hard yards necessary to be defensive central midfielder. Admittedly, he has picked up 23 yellow cards and 2 reds in his 95 Arsenal appearances so far. In January 2017 there were articles about his appalling red card record with his 9th sending off in 3 years as he was dismissed against Burnley. He’d been unlucky to be sent off a few months earlier when deliberately tripping a Swansea player who’d only just crossed the halfway line. Since then he’s cleaned up his act with no further early baths. His passing efficacy is up for debate, but not the sheer metronomic volume of those passes. Granit has made just over 500 more passes than the next Arsenal player in the list, 1921 to Lucas Torreira’s 1417. When Xhaka is playing well, the team plays well. He dictates that central area in front of the back four without being the most mobile of defensive anchors in a more Makelele style. When Auba missed that late pen against the spuds which would have consigned them to a deserved defeat, it was Granit who was immediately there at his side giving him support. No William Gallas ‘sitting on the halfway line crying’ antics for the big Swiss but instead there seems to be a genuine desire to cajole and encourage those around him. On the pitch, Xhaka is a clear leader in the team. He controls the game, he’s passionate, vocal & he picks teammates up when they’re down. Granit always features prominently when playing for his home country, though his Albanian roots perhaps preclude him from being the on-field captain when the present captain, Stephan Lichtsteiner, hangs up his boots. Off the pitch Granit conducts himself with an air of class and appears to be a fine ambassador for the Club. What do you think? Is Granit a future captain or would you choose an alternative from the current playing staff? p.s. I’m choosing to ignore tabloid scaremongering that Granit wants away to progress his career. The man’s just signed a new contract until June 2023, ffs. This entry was posted on Sunday, March 24th, 2019 at 6:46 am and is filed under Uncategorized. You can follow any responses to this entry through the RSS 2.0 feed. You can leave a response, or trackback from your own site. 34 Responses to Granit for Captain? Your Post writing is developing by the day, Chas, and thinking back many years to the days when you were reluctant to try your hand, it shows those who saw your inherent ability were correct. Ace stuff. The sensible blogger would keep well away from answering this sort of question for being drawn into an execrable conversation about your fan loyalty for having an opinion that does not sit well with those who think all our players are wonderful. To hell with that, people will think what they want so I am going to say what I have done consistently for a long time. There are two questions regarding Granit’s worth for Arsenal – firstly is he captain material? Well he has a short fuse, and altho it makes him stand up when provoked, he sometimes does that even with the ref standing a couple of metres away, and even tho you say he has learned the error of his ways there is always that little devil lurking there ready to emerge and get himself sent off. Captain? Not for me. Granit does have certain skills, primarily his passing accuracy. But everything hinges on his slowness. He changes course, when tackling even moderately pacey players, like the Queen Mary doing a three point turn, and when he loiters with the ball in the penalty area, his thought processes also move at a similar pace, and with klaxo horns blaring, and fans screaming kick the effing ball upfield, he freezes and has the said pill taken off his immobile toe far too often for the cardiac health of many teeth gnashing fans. For those who wear rose tinted glasses, where players are concerned, and Granit in particular, let me move to compromise with your view. Granit is not a total Wally as a player, he does have his moments, and with a terrific shot he could be forgiven for some of his failings, but he does not use it often enough. In addition, Arsenal are not a disaster with him, and he would get into most professional teams, outside the top 6 in the Premier League, for example, but if you judge Arsenal by being a top team, then a player being OK-ish is just not good enough — surely we should aspire to want the best players which is what this is really about. Of course, if we have to settle for players, like Granit, who are not in that top category because we are limited by a shortage of funds — then that is an entirely different question, and while limited funds are part of that criteria, then Granit will have to do, but let’s not confuse being a top player with what we can afford.. Your post eloquently goes through the pro’s and con’s of Granit’s qualifications as Captain, as does RA’s. My answer is yes. He’s more often than not a starter, and moving to . RA’s correct short fuse issue, I say that if it blows, it blows. Off he potters and someone else takes over. 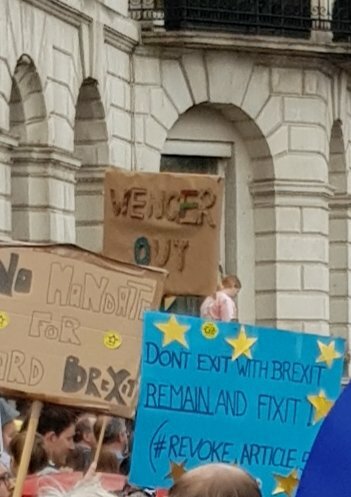 I think your approach is probably much more diplomatic, by sticking to the ‘captaincy’, and perhaps I should have followed that line of thought. Trying to align the idea that Grant would make a fine captain after my overall views on him above would be as straightforward as hedgehogs mating. Big Sok (aka PassthePolos) would be my choice for captain — or Rambo if we had not decided to give him away for nowt — and maybe, in time, JM’s shout for Rob Holding would be a valid option. What joy, RA, not one word to disagree with! Rob Holding and Ouzi are the future leaders of a new youthful, exciting Arsenal with Reiss Nelson assisting our goal scorers to 25 goals each a season. Keep the “beasts”, Sokratis Terrier and Wardrobe, test Mavs credentials, and otherwise buy ( or find in the Academy) super quick, tricky, dribblers to lift the Arsenal to their rightful position….No 1. Personally I prefer a Captain to come from the defense. Tony Adamsa our longest serving Captain (1988-2002) was very aggressive much like Xhaka and commanded respect from both his team and the opposition. We only have a few players who display leadership qualities; Koscielny, Sokratis and Xhaka are the most obvious. Of the three I would prefer Sokratis who appears to be very vocal and commanding on the field. Great post. I agree with RA about your writing skills, even if I don’t agree about Xhaka as a Captain – I think he is the obvious choice. As to the other candidates .. Kos will keep the armband until he leaves AFC. Sok is a possible and he has the persona. Douzi seems to be a bit of an airhead. Hector is a possible but may be a little shy. But then pretty much everything changed during the recent United game. Having rewatched that match on telly I can see why Ramsey got all the plaudits but my opinion remains the same as it was when I was in the ground, Xhaka put in an incredible performance, he was immense and I continue to believe that he was the reason we won. As to whether he is captain material, there is no doubt in my mind that the answer is yes. But, having said all that, if I ask myself: will he commit a school boy error against Newcastle — the answer is almost certainly yes. Xhaka is already the leader and therefore the real captain of the team. There is a tendency to look at the first dimension of football which is whether a player is fast, strong, works hard, etc. The big thing that most are missing is that Xhaka gives structure to the team and sets the tempo with his range of passes and clever movement across the pitch. Without Xhaka we play significantly worse; it’s like an orchestra playing without a conductor. Xhaka has that rare combination of technical leadership (like Cesc and Arteta had too) and ‘social’ leadership (of the likes of Adams, PV, Campbell) and he is only getting better at both of these aspects. A top top Gunner around Emery is building his team. For me it is key to play Torreira next to him to compensate for some of his ‘first dimension’ shortcomings, but it was great to see him coping very well when he was played with the adventurous Ramsey ‘next to him’ in recent games. I believe if there is one Gunner who will make the PL team of the season this time round, it will be the Granit. The pundits are finally given him credit for this enormous contributions to Arsenal/the game. Granit ” I’m very ambitious……..Arsenal does not have to be the last step”. The Arsenal women’s team have gone top of their league with a 1 : 5 win away too Pool women. Go Girls!!! (or is that politically incorrect). I enjoyed watching them — we have some good players and so do Pool — it’s just that our’s were better. Reading the comments from TA and LB, bloggers I respect for their knowledge and reliability, made me rethink my views on Granit. I think that LB has swayed me somewhat, because I think that our man did play superbly well against ManU, and I guess I already knew that TA holds Xhaka in high regard, but when all is said and done, I still do not see him as captain or long-term Arsenal player material. I suppose in the spuds lovely new ground there’s bound to be the odd ropey view! The respective women’s teams each play at lesser known grounds, and the Arsenal Ladies play at Meadow Park, Boreham Wood, where the Arsenal youth teams used to play. Today’s game away to Pool was probably at Prenton Park, Liverpool. I am not uptodate on where various clubs play. AFC Ladies doing us proud. Miedema is setting the world alight. Just superb. Bang average player. should be looking to replace him not make him captain!